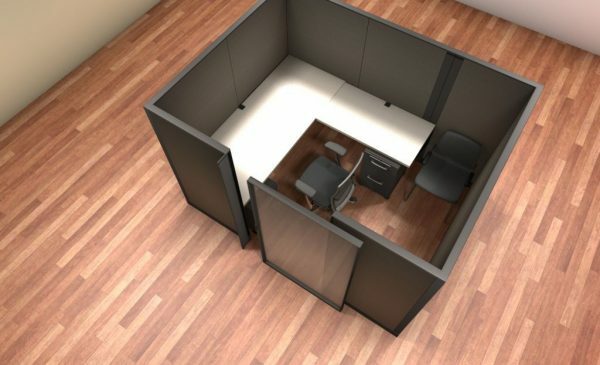 Knoll Morrison Cubicles with a sliding privacy door. These stations are 6×6 and 6×8. Each station has two full height pedestals. Privacy door can be removed if desired. Product is on good as-is condition. Sold in groups of 10.